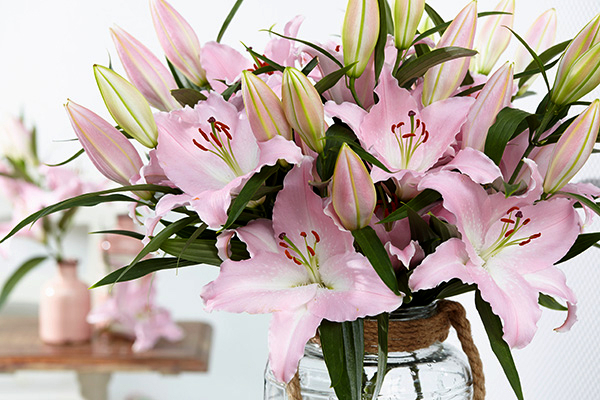 With the popularity of our recent promotion, our Oriental Lily Collections have sold out. We hope to offer this item again next year. CLICK HERE to shop our selection of daylilies with FREE shipping. Offer valid through April 21. Thank you for choosing Schreiner's Iris Gardens! 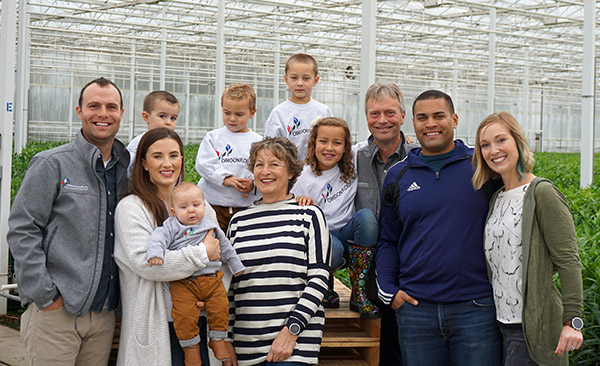 Over the years our business partnership with the incredible family at Oregon Flowers Inc. has become a treasured friendship. 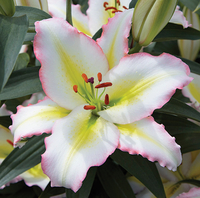 Being the flower lovers that we are, we want to share with you the beautiful, award-winning Oriental lily bulbs sourced by our dear friends at Oregon Flowers. We are confident you will fall in love with their beautiful aromatic blooms season after season, just as we have. 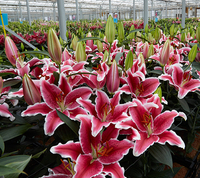 This year we offer two collections of Oriental lilies*. Each collection contains two quality bulbs of each variety. Each collection ships free. *Individual lilies not sold separately. All photos courtesy of G.A. Verdegaal.